What are the top landmarks in Stockholm? Stockholm, the capital of Sweden, is a pretty, picturesque city with an island structure somewhat reminiscent of Venice. The Old Town is the oldest part and a historical work of art in of itself, with Gothic churches and the Royal Palace acting as highlights. There’s so much to see and do: pay a visit to Skansen (an open-air museum and zoo), the high circular reading room of the city library and Djurgården (an island with lots of green and beautiful villas). Norrmalm is considered the cultural and commercial heart of Stockholm, with lots of entertainment, shops and restaurants. Go shopping in the Hamngatan, Biblioteksgatan and Kungsgatan or take a walk along the Sergelsplein. The trendy Vasastan is also in Norrmalm and is well known for its small local restaurants and vintage shops. The hotel supply in the popular Norrmalm is quite good. There are a number of four star hotels, including romantic offerings near the Royal Swedish Opera; great for an affordable yet luxury holiday. Östermalm is east of the city centre and is known as an upscale neighbourhood with expensive houses, haute couture shops and big designer label stores. Tip: if you’re on a budget, get lunch at the Östermalms Food Hall. If you’ve got shopping on the mind then Sturegallerian is also recommended. South of Norrmalm and Östermalm is Gamla Stan, the oldest part of Stockholm. It is located on an island and is famous for its colourful houses, cobblestone streets and old churches. Stortorget (the main square) and the Royal Palace are among the main attractions. Although Gamla Stan is one of the main tourist hotspots in Stockholm, the hotel supply here is somewhat limited. 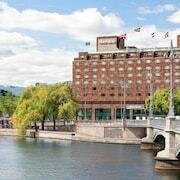 You can choose from about 10 hotels, including several romantic hotels, near the Royal Palace and Stockholm Cathedral. Finally there’s Södermalm, a district just under the Old Town of Gamla Stan. Although it was one of the poorest parts of the Swedish capital, is now been completely regenerated and is a popular place to stay. Here you'll find SoFo, a hip neighbourhood reminiscent of New York's SoHo, and the Medborgarplatsen. 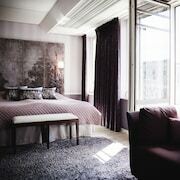 The hotels on offer in Södermalm range from two to four star. You can choose from a selection of hotel types, from a family hotel near Maria Square to a boutique hotel in SoFo. If you like Stockholm then why not explore some of Scandanavia's other magnificent cities? 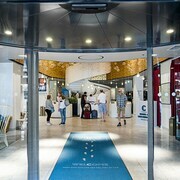 Book great deals on hotels in Copenhagen and Oslo hotels with Expedia. Explore Stockholm with Expedia's Travel Guides to find the best flights, cars, holiday packages and more!